Dr Pushpa Wood has been appointed as an Officer of the New Zealand Order of Merit in the Queen’s 90th Birthday Honours List for 2016 for her services to financial literacy and interfaith relations. 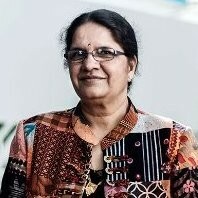 She was the first Indian women to be awarded with this honour and the first person in New Zealand to receive an award for both financial literacy and interfaith relations. Dr Wood has a long history of adult and financial literacy advocacy. She was previously the Education Manager at the Commission for Financial Capability. She has worked across the school, tertiary, NGO and industry sectors to improve adult literacy and financial literacy, and was a member of the New Zealand Qualifications Authority’s project advisory group reviewing financial literacy unit standards. Dr Wood has extensive experience in developing teaching and learning resources, training and development, strategic planning and stakeholder relationship. She developed a competency framework for financial literacy educators. Dr Wood’s research interests include identifying trigger points that motivate people to change their financial behaviour, preparedness of women in planning for their future and testing culturally appropriate evaluation tools. Dr Wood is passionate about developing capability at the grass root level and has developed training model and teaching and learning resources for the indigenous communities. She has been involved in a number of national and international consultancy projects in developing national strategy for financial literacy and capability building.